Firstly, I would like to express my condolences to the families of the civilians murdered, and to those of the soldiers who fell while responding to today’s terrorist attacks. I share their pain. I know that their lives will never be the same. I also want to express my hopes for a speedy recovery to those injured in these attacks and are currently undergoing treatment in hospital. We all witnessed today an attempt to escalate the terrorist war against Israel by launching of attacks from the Sinai. If there is someone who thinks that the State of Israel will let this pass, he is mistaken. 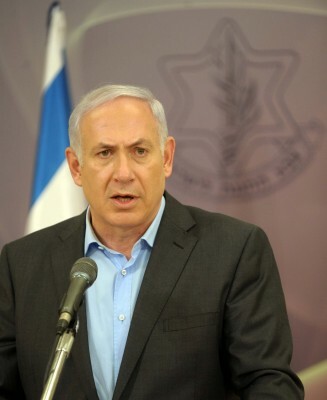 I have set out a principle – when the citizens of Israel are attacked, we respond immediately and with strength. That principle was implemented today. Those who gave the order to murder our citizens, while hiding in Gaza, are no longer among the living. I commend the IDF and the security services who eliminated today in Gaza the senior figures of the organization which carried out the terror attacks in the south. I commend the soldiers, police, and members of the security services who acted swiftly, determinately and bravely against the terrorists, and who thereby prevented an even greater tragedy. If the terrorist organizations believe that they can attack our citizens and get away with it, they will soon learn how wrong they are. We will exact a price, a very heavy price.